The main orienting point of our company is to render a high-level brokerage service for the most fastidious clients. The clients of our company think that the service provided by NewForex satisfies all the requirements and that we can be trusted. It is safe and convenient to trade with us at the Forex market, because we use modern software, approved data-centres for server distribution, protected transmission channels and other state-of-art technologies. NewForex Company chooses the best. That is why we fixed upon the product of the famous company MetaQuotes Software Corp. that is MetaTrader 4 Trading Platform. This program is widely used all over the world because it has a variety of advantages. It is not a surprise that MetaTrader 4 has become a pace setter among the products of the similar range. Technically this platform is convenient and supportive. It is able to serve ten thousands traders at the same time. MetaTrader 4 is exactly what you need to work at the financial markets because this platform uses state-of-art technologies. If the Client decides to terminate the participation in the Promotion early without fulfilling the conditions of transferring the credit into balance, the agreement is considered as invalid and credit funds should be repayable. The conditions of the early termination of the Agreement to participate in the Promotion “Welcome!” are described in the relevant Agreement. The duration of the Promotion: from November 20th 2014. NewForex Group has the right to prolong the duration of the promotion in its discretion. Only the Customers who have a profile and who expressed their consent to participate in the Promotion become members of it. 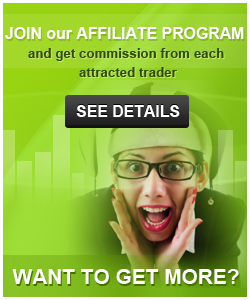 Profiles registered through NewForex Group partners are disallowed to take part in the Promotion. The Promotion is intended to be used only by Customers who registered on an independent basis. Bonus 30% is not added to the accounts where a no-deposit Bonus in the frames of the Promotion “Welcome” was given. There might be additional requirements to the Customer’s profile: verification of the document certifying the identity (Passport or ID). 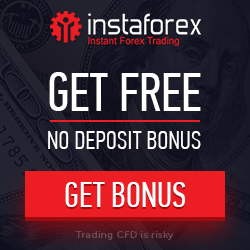 As a bonus for participation in the Promotion you get a 30% bonus from the deposit of any personal trading account (except for the remittance between the accounts of one or different Customers and replenishments from Profile wallets) for the amount from $10 (or the equivalent of this amount in another currency in the current market rate provided by NewForex Group at the date of the replenishment). The provided funds perform a free credit (the payment for the credit (in per cents) is not taken from the Customer). The key task of granting credit funds to NewForex Group Customer is the maintainance of different financial possibilities in the trading with financial instruments as well as the formation of extra unds. Credit funds (bonus) added to the trading account may be transferred from the Credit into Balance. As a result they will be available for any further financial operations. Customers have this opportunity as soon as they fulfill certain conditions which are detailed written in the “Agreement to participate in the Promotion”. The Customer can transfer the funds obtained from the Credit (as a Bonus) in the frames of the Promotion into the Balance of the personal trading account within 7 months after getting the Bonus. 2. Contact NewForex to have the funds transferred from your old account to the new one. For the first sight of this broker, I don't interest with. But after i try its demo account, its execution very fast and no delay there. Then i deposit with small amount and its amazed me. its execution very very fast.